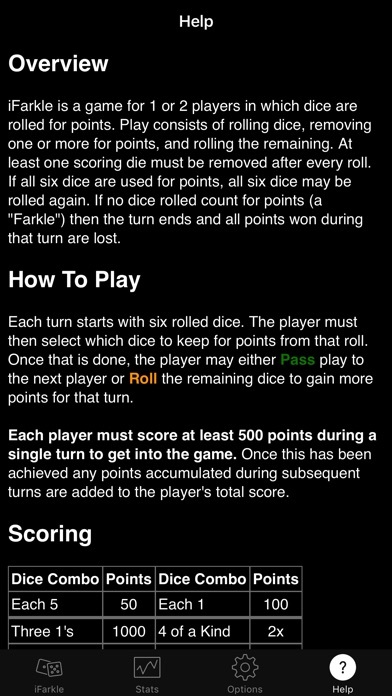 iFarkle is an addictive and entertaining 1 or 2 player version of the dice game Farkle (or Farkel) for the iPhone and iPod touch. 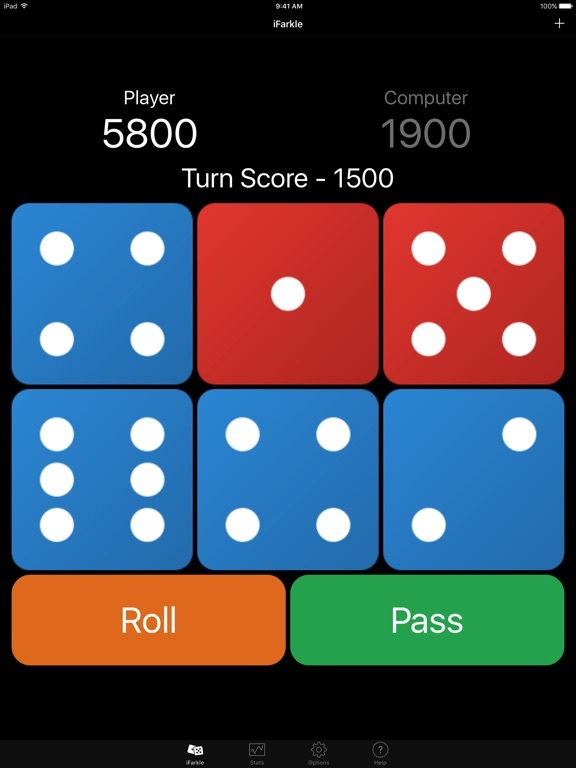 Play with a friend or against the computer to be the first to achieve more than 10,000 points by rolling the dice for an exciting number of different scoring combinations. 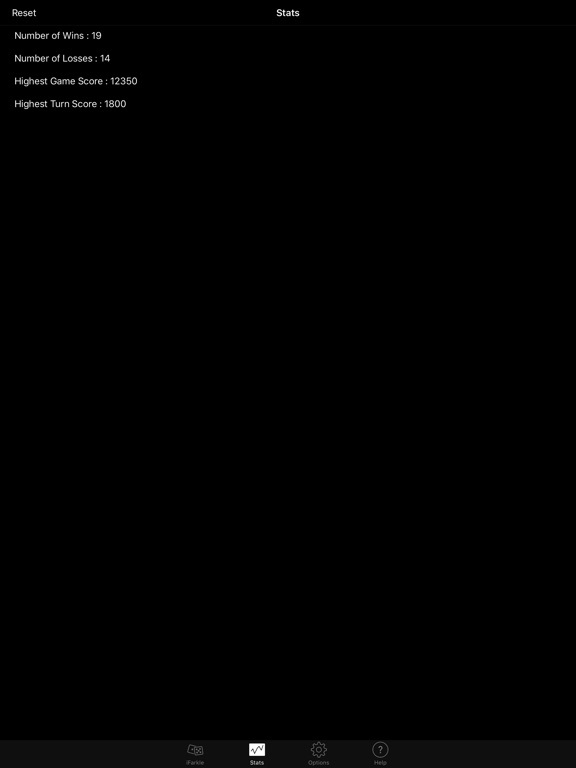 Two-player mode includes the option of automatically flipping the screen between turns for players sitting across from each other at a table, on the floor, in the car, or on a plane. 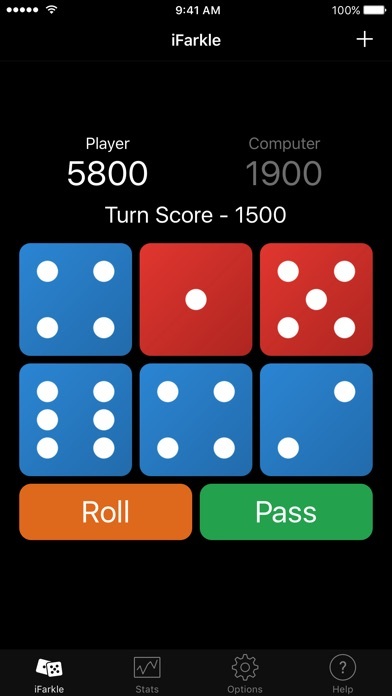 iFarkle is simple to learn, and fun to play. PLEASE NOTE THAT THE COMPUTER DOES NOT "CHEAT"
The dice rolling mechanism is the same for both human and computer players: It is completely random. Q : Why doesn't the Pass button seem to be working? A : Each player must score at least 500 points during a single turn to get into the game. 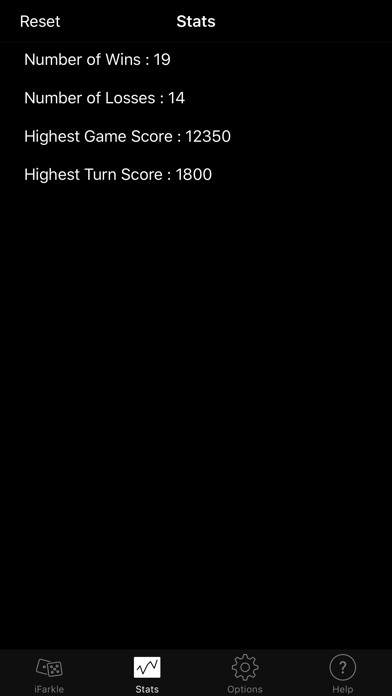 Once this has been achieved any points accumulated during subsequent turns are added to the player's total score. Q : How do you play iFarkle? A : The rules can be found by tapping the "Help" tab at the bottom of the game screen. 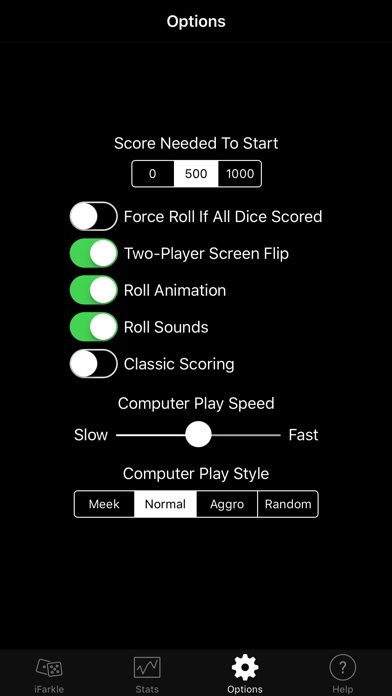 - Fixed a bug where invalid scoring would occur if the Computer Play Speed was set to "Fast"
- iFarkle now sports a more modern "flat" look. 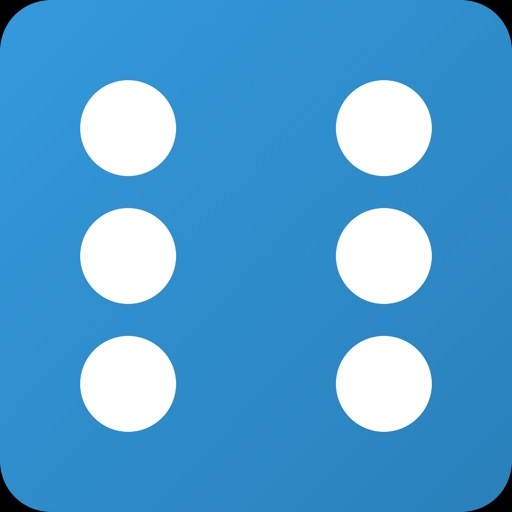 - Native support for iPad. - Support for future versions of iOS.